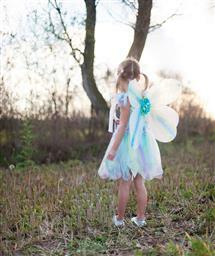 This Butterfly Dress Wings & Wand set can transform any child into a beautiful butterfly instantaneously no work required! 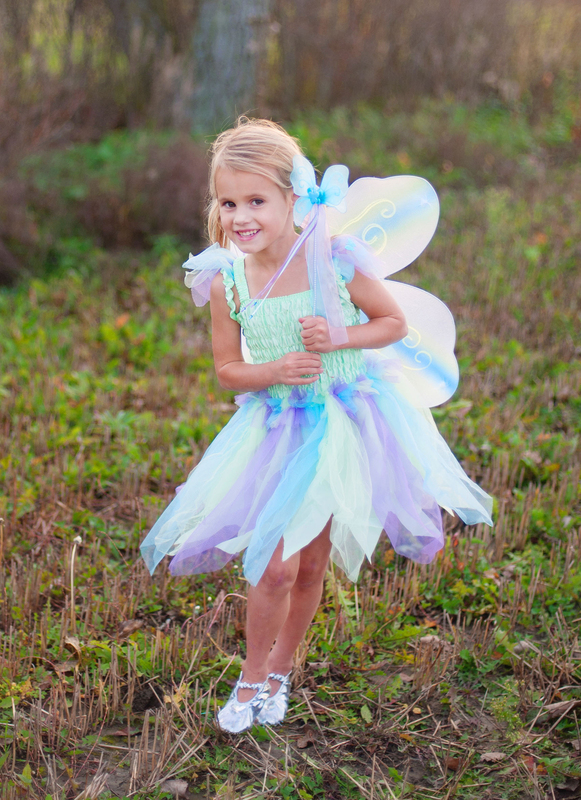 A ruched satin top provides sizing flexibility matched with a glimmer tulle skirt decorated with iridescent butterfly decals. 4 piece glittery wings are easily worn with satin lined elastic straps. Finally a matching butterfly wand to work the magic!